In Only 30 Short Minutes! Paid Endorsement Disclosure: 20 Dishes is a participant in the Amazon Services LLC Associates Program, an affiliate advertising program designed to provide a means for sites to earn advertising fees by advertising and linking to AMAZON.COM. This post may contain affiliate links and/or ads from Amazon or other affiliate partners. We only recommend products or services that we have personally tried and love. When you make a purchase through any of these links, we earn a small commission on each sale, which allows us to cover a portion of the cost of this site. This has no effect on your sale price and is simply a cost of doing business for the company you are purchasing from. Got real food sticker shock? 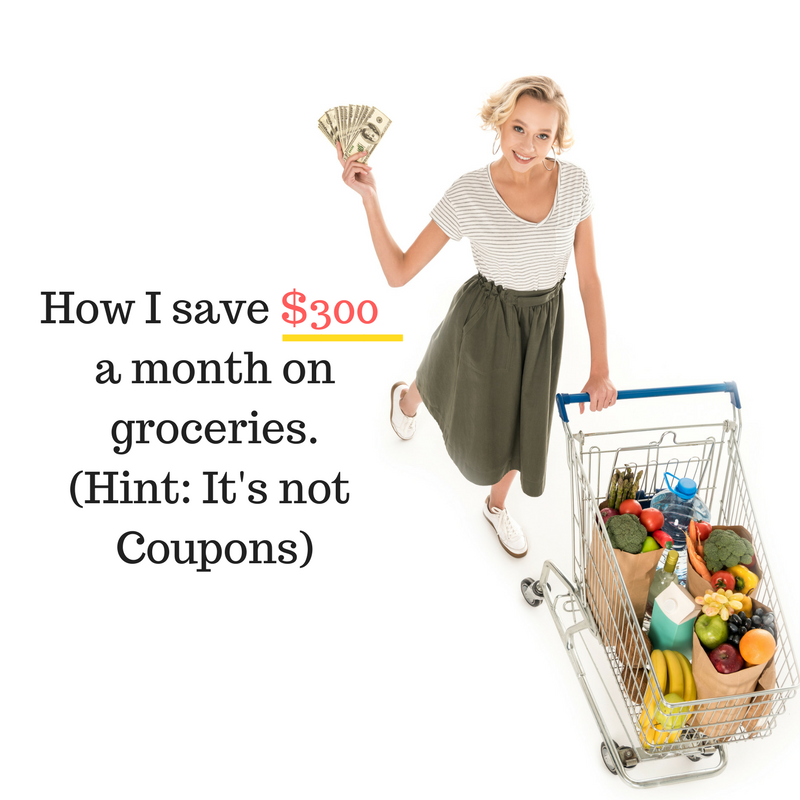 Looking to save money on groceries? 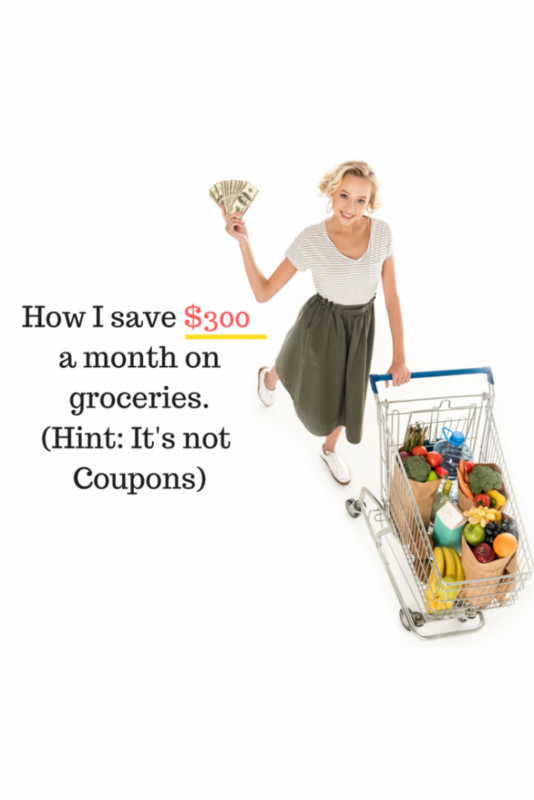 These practical tips will help you have hundreds of dollars every month without using coupons! Remember the days when you could hand over $75 and walk away with more than a single bag of groceries? With today’s supersized food prices, eating a real-food diet without busting your budget has never been more challenging. A recently published groundbreaking report revealed that up to 40 percent of food in the United States goes uneaten! That’s 40% of your budget going down the drain!”You can save significant money — and really improve the quality and nutritional value of your groceries — by cooking more at home,” says nutritionist Leanne Ely of Charlotte, N.C. Of course, eating clean means cooking more at home, so here are some ways to shopping for groceries lighter on your wallet (and save your sanity). Use the current grocery sales flyers to map out this week’s meals. The front page has the deals that are too good to resist. Taking a few minutes to make a detailed plan will save you from making unexpected trips to the store during the week (which will certainly murder your budget – let’s not mention impulse buying). According to Bankrate.com, this tried-and-true meal planning practice discourages impulse buying, helps you plan cheaper meals around what’s on sale or in season, and keeps you out of the fast-food drive-through lane. 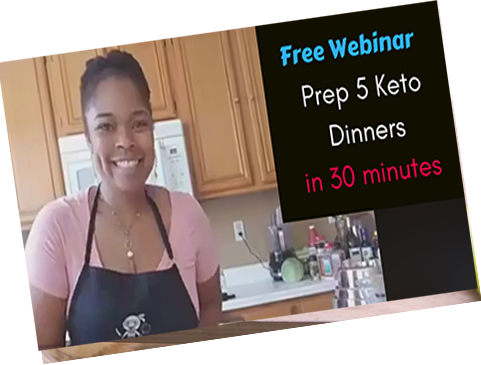 Do yourself a favor and rid your life of one of the biggest daily stresses by preparing the nightly meal in advance and batch cooking. Pick a day of the week to prepare the weeks’ meals. Setting a day of the week works best to help keep you on schedule. Prepping and cooking in advance will slash your grocery bill and save you tons of time. You’ll not only be less likely to waste food by having a meal plan of what you’re going to cook, but will save hours in the kitchen! Plus, home cooking is healthier for your family as the temptation of unhealthy meals when you’re short on time won’t be there. Subscribe to a service like 20Dishes.com. For a small fee you’ll get a weekly done-for-you meal plan, along with an organized grocery list. You’ll also get tips and tricks on how you can save time in the kitchen. All of these things lead to spending less time getting a healthy meal on the table each night. Save time by learning a new skill in the kitchen. Learning a new technique like “Cutting an Onion Quickly and Without Tears” is a great way to cut your time in the kitchen. Using a larger and sharper knife can help with your prep time because knife skills instructor Norman Weinstein says “Your prep time gets cut drastically, so you can enjoy your cooking more. In reality, many of the things that people do that take 25 to 30 minutes can be done in 10 or 15.” Weinstein recommends using a sharpening steel on your knives after each use and taking knives to be professionally sharpened every nine months to a year. As with most everything else, the more you buy, the cheaper you get it. This is especially true with buying meat, fish, and poultry in bulk at the warehouse club rather than in smaller quantities at the grocery store. If you have enough freezer space, freeze what you don’t eat within a few days of purchasing. If you do have extra freezer space, buying meat in bulk directly from the farmer can also save you money. Buy pantry staples like coconut oil, olive oil, and nuts in bulk and the prices will be dramatically reduced. Note that buying produce by the piece in the produce section can sometimes be cheaper than buying in bulk (although you CAN easily freeze many fruits and veggies) because you can inspect the fruit and veggies for blemishes and bad spots, saving you money from spoiled produce. Buying in bulk also helps you plan meals, which prevents you from picking up fast food for dinner. Many people think that only businesses can form buying clubs, but families can band together and form buying clubs to purchase groceries at wholesale prices. Although some logistics are needed, a buying club could make sense if you don’t have a warehouse club type store nearby. Family buying club representatives e-mail a group order to the wholesaler, then arrange for delivery. When the order is delivered, they split the cases of purchased goods. Many wholesalers offer produce, organic items, baby supplies, paper goods, and much more. To find a club in your area, search online for “grocery buying club” and your city’s name, or check sites like CoopDirectory.org or UnitedBuyingClubs.com. Also, ask your local Weston A. Price Foundation if there is one in your area. We’re not saying to buy a year’s supply all at once, but buy enough to last until the next sale (usually two to four weeks). For instance, buying boneless chicken breasts on sale can save a family of four $325 a year. Buying expensive cuts of meat on sale can also equate big savings. One of the best ways to save money on this week’s groceries is to look back at last week’s groceries. One study conducted for the U.S. Department of Agriculture found that every American waste, on average, more than a pound of food a day. That’s pretty unsettling, considering the serious shortages in many parts of the world — not to mention all that landfill waste being created. Challenge yourself to get through one week every quarter (or more often, if you can) without setting foot in the grocery store. Use leftovers, unbury freezer items, and clean out your pantry. Chances are, you have more food on hand than you think. You can save 25% on your groceries if you buy generic brand groceries instead of name brands. That is a potential annual grocery savings of $720 for a family of 4! Sometimes store brands don’t taste as good as brand names, but when it comes to staples like sugar, salt, flour, bleach and many other items, most people cannot tell the difference in quality—only in the cost. You might not want to completely ignore brand name groceries because, of course, they do go on sale—however, if you can substitute generic or no name brands for brand names, you can see real grocery savings. You can save up to 18% if you leave your credit cards at home and shop with cash or even a debit card. According to a study by Dunn & Bradstreet, people who shop with a credit card pay twelve to eighteen percent more than those who shop with cash. If you only shop with cash or your debit card, then you can only spend what you have. Shopping with $100 in your wallet can be much different than shopping with a $10,000 credit limit in your hands! If you really want to use your credit card to collect points, then make sure you stick to your grocery or shopping list and you still may come out ahead. Depending on your interest rate, you could save up to $2,080 a year! That’s a lot of cash! If you only try one tip, make it the planning tip. This is the one tip that will likely save you the most money when you’re shopping for groceries. By planning ahead, you can make your shopping list based on what you already have, what you still need to buy, and what’s on sale. Making an easy, nutritious, budget-conscious menu plan doesn’t have to be hard. In fact, we will do it for you! Just like with anything new, give it a try. Saving time and money might just agree with you and your budget! 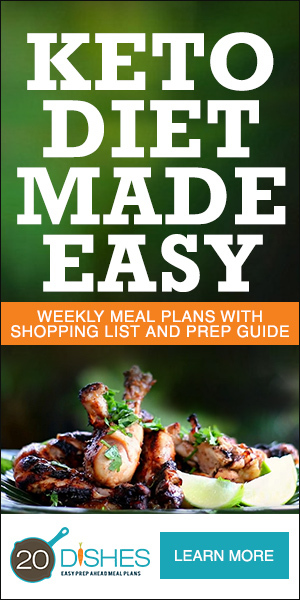 Real Meal Plans provides easy real meal plans for Keto, Paleo, Low Carb, Gluten-free, Vegetarian, AIP and Clean Eating.